The Doraemon will release the latest version of its comic series on May 29, announced the Kim Dong Publishing House, in Hanoi on May 18. New version of Doraemon comic series will be released at the end of May. 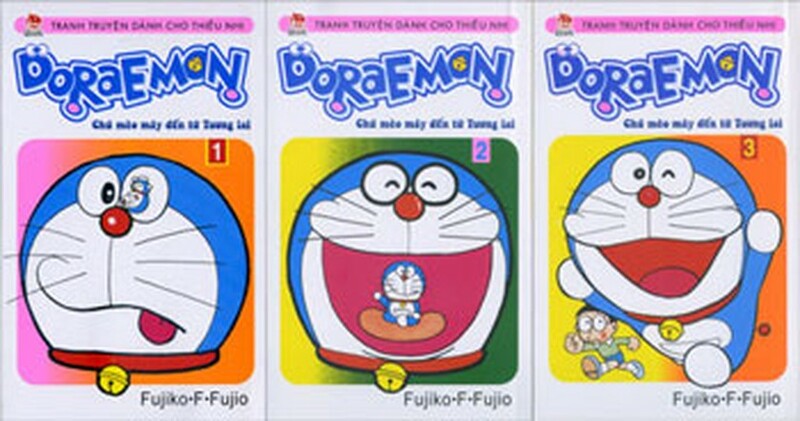 Doraemon, was the first Japanese manga to be introduced in Vietnam 20 years ago and became one of the best selling series in the Vietnamese manga market with millions of copies sold. In this edition, names of characters in the comic will be kept following the Japanese original, not be transcribed into Vietnamese like old versions such as Doraemon, Nobita, Gian, Suneo, Shizuka instead of Đôrêmon, Nôbita, Chaien, Xêkô and Xuka. New version will still read from the right to left like the original. On the debut of the comic book, Kim Dong Publishing House will organize the “Entertaining with Doreamon” festival in Hanoi on May 22 and Ho Chi Minh City Children’s House on 29.